How does a VoIP reseller become a local POP? You do it with V1 VoIP. V1 VoIP’s global footprint allows us to offer local direct inward dialing phone numbers (DIDs) in more than 70 countries around the world and most major cities across the globe. VoIP resellers no longer have to hassle with establishing a local point of presence (POP) as V1 VoIP does it for you. 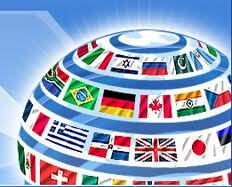 V1 VoIP Delivers Fast and Affordable Global Reach. Instantly. V1 VoIP offers wholesale VoIP origination services through geographical and toll-free telephone numbers. With carrier-grade SIP origination solution, V1 VoIP delivers local toll free numbers in more than 7,500 rate centers across the globe. Receive inbound voice calls and faxes from over 60 countries worldwide while providing your customers -both potential and existing- with the easiest way to contact you. Easily create multiple SIP acounts for all your users: Enjoy powerful, easy to use account control panel. Expansive V1 VoIP origination coverage: Thanks to V1 VoIP’s purposefully built, highly redundant POP network. Crystal clear call quality and V1 VoIP SIP trunking: Carrier-grade technology and know-how your business can rely on. Highly competitive wholesale V1 VoIP rates: Upgrade to premium call quality for an extremely low cost. With V1 VoIP SIP origination, our customers have the option to choose from thousands of telephone numbers currently in stock, setup you up to get started earning money immediately. Together with our toll-free numbers option, your company will be all set in record time. Think you have already explored the full extent of our origination services? Think again! Contact a member of the V1 VoIP team today for a free demo and let us surprise you with just how much you really get in a single solution.